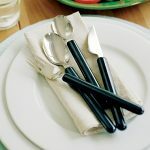 The Good Grips Weighted Utensils cutlery feature large soft rubber handles to cushion your grip. 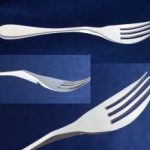 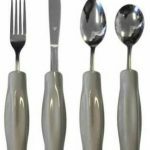 These stainless steel utensils have an adjustable metal shaft that allows them to be twisted to an angle for use with either the right or left hand. 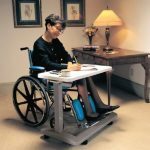 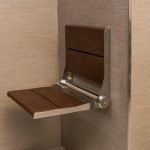 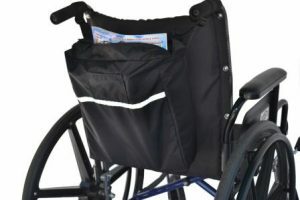 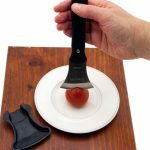 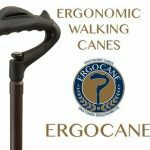 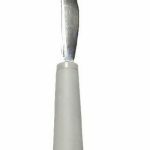 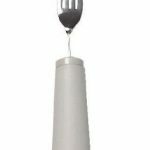 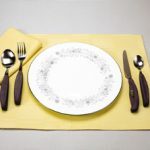 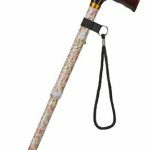 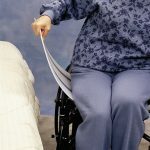 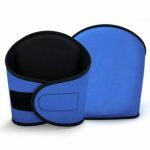 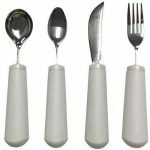 Each Good Grips Weighted Utensil provides 6 oz of weight in the built-up handle to provide more control for people with limited hand control, Parkinson’s or spasticity. 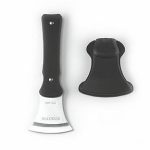 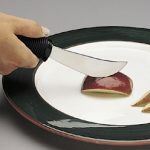 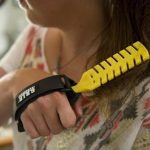 The Good Grips Weighted Rocker Knife requires only minimal arm strength for cutting. 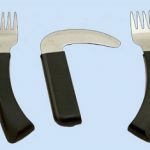 An extended safety cap protects fingers while cutting. 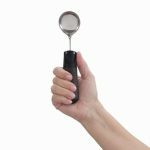 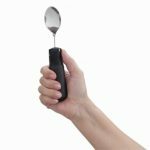 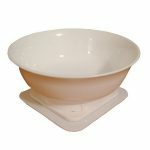 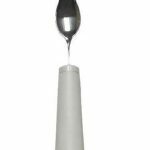 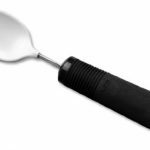 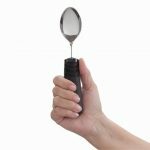 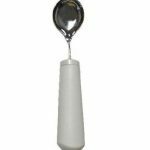 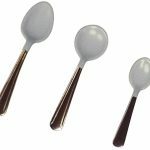 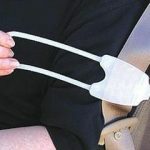 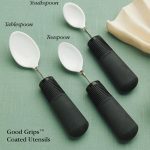 The Good Grips Weighted Soup Spoon is ideal for persons with tremors or poor hand control. 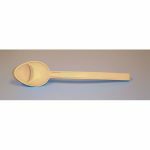 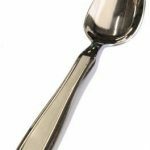 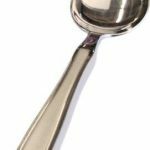 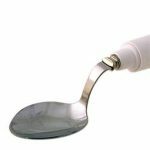 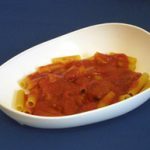 The large bowl of this adapted spoon features a specially designed 1/8 inch raised lip to prevent spills while moving the spoon toward the mouth. 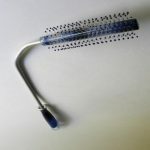 Total length measures 7 1/8 inch. 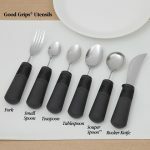 The Good Grips Weighted Utensils are sold individually or as a set. 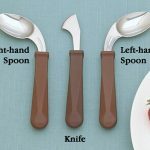 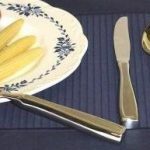 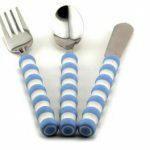 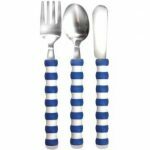 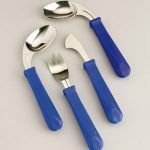 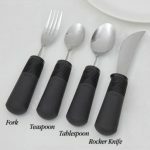 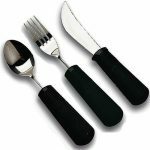 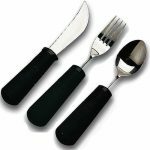 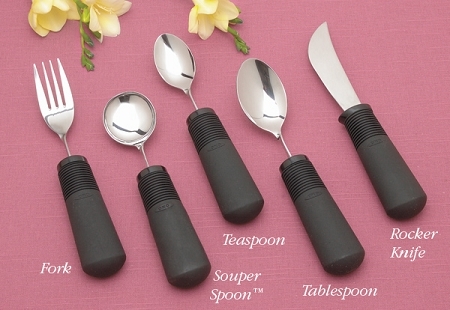 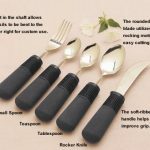 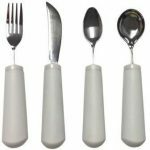 The Good Grips Utensils Set of four includes the rocker knife, fork, tablespoon, and teaspoon. 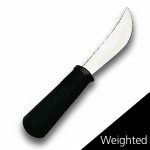 Good Grips Weighted Utensils Specifications: Total length: 7 1/8 inches. 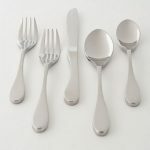 Weight: 6 oz. 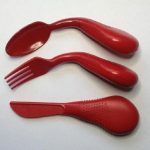 Material: Latex Free.